From upper left corner: Retro Vogue Taffeta Skirt, Vogue skirt closeup, Stretchy bitty ruffles skirt, Honey Girl Top, Bitty Ruffles skirt, Burda Panel Skirt in rose tattoo, & Honey Girl dress. Large photo is smocked waist skirt with red chiffon layer. Now go sew my friend. And put the kettle on too. Nothin' like sewin' & sippin' (tea). Thanks for being my model Kat. 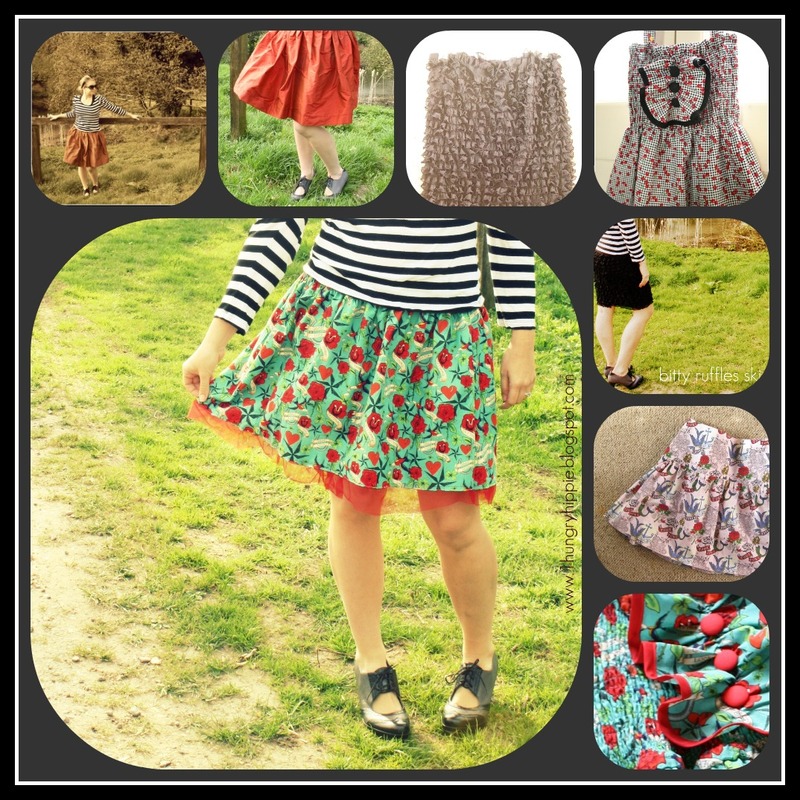 Ooh ..I like your photo montage..cute as clothes ;) Love the fabric of/and red buttons bottom right. Makes me want to sew...as if I had time! But I am doing some preserving..it's autumn here.. i have a photo montage of my own goin on ;) ..well collage maybe..who knows! picasa I love you! so talented!! such a clever gal!